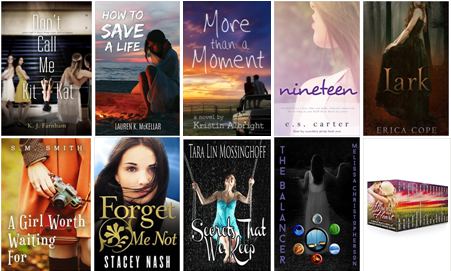 I am honored to be participating in my first indieBRAG Blog Hop. Happy Valentine’s Day to all of our readers! 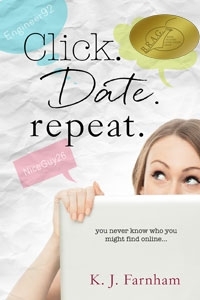 My indieBRAG approved novel is called Click Date Repeat. While CDR is a contemporary romance novel, I have to be honest, I’m not a very romantic person. As a result, it’s laced with awkward, often humorous, moments. In honor of the hop, I’m sharing a scene when an embarrassing Chloe moment is morphed into a butterfly-worthy encounter. Enjoy! “Sounds great. See you in a bit.” He slowly lets go of my hand so that our fingertips linger together for a second. Still thinking about the way his fingers felt laced through mine, I watch as Sean walks to the bathroom. Then I begin to wonder what to expect next. Will we talk more in the foyer before saying goodbye? Is he going to try to give me a hug or maybe even a kiss? Should I invite him to the Home Bar? Chloe? Is that you? My thoughts are interrupted by a vaguely familiar voice. I look to my left and see a former student teacher of one of my colleagues. “Oh, cool.” Her response is not very convincing. “What about you? You’re teaching high school geography, right?” I already know the answer to this question because Stacey–the cooperative teacher Renee worked with at my school–already told me. She also filled me in on the fact that Renee had been messing around with her very own student teacher and that her marriage is on the rocks because of it. “Yeah, I love teaching at the high school level. Little ones just aren’t up my alley, I guess.” She shrugs. My face becomes hot. Did I just call him Sam? Renee shakes his hand. “Nice to meet you.” She gives me a confused sideways glance. I want to die right then and there, but I have no such luck. Instead, I am forced to wrap up my conversation with Renee and endure an awkward trip out to the parking lot with Sean. As we walk, I prepare myself for an uncomfortable goodbye and wonder if he might even keep walking straight to his car without ever making eye contact with me again. But when I muster enough nerve to look at him, he is smiling at me. I try to apologize. “I am so . . . ” But Sean interrupts. I let out a sigh of relief as I take his hand. His grip is tight for a second and then he releases me, pulling me in for a hug. Then he whispers in my ear. “You do know you’re going to have to learn my name in order for us to go on another date, right? The warmth of his breath and the sound of his voice gives me butterflies. Finally. Online dating might finally be paying off. For a chance to win a signed copy of Click Date Repeat, click HERE to subscribe to my newsletter. And if you’d like, comment below with a Valentine’s Day memory or an embarrassing dating moment. The winner will be notified by email on February 29. Thank you for participating! Now hop on over to author VL Thurman’s website for a chance to win a copy of her book, The Dating Dilemmas of Delilah Dunnfield. 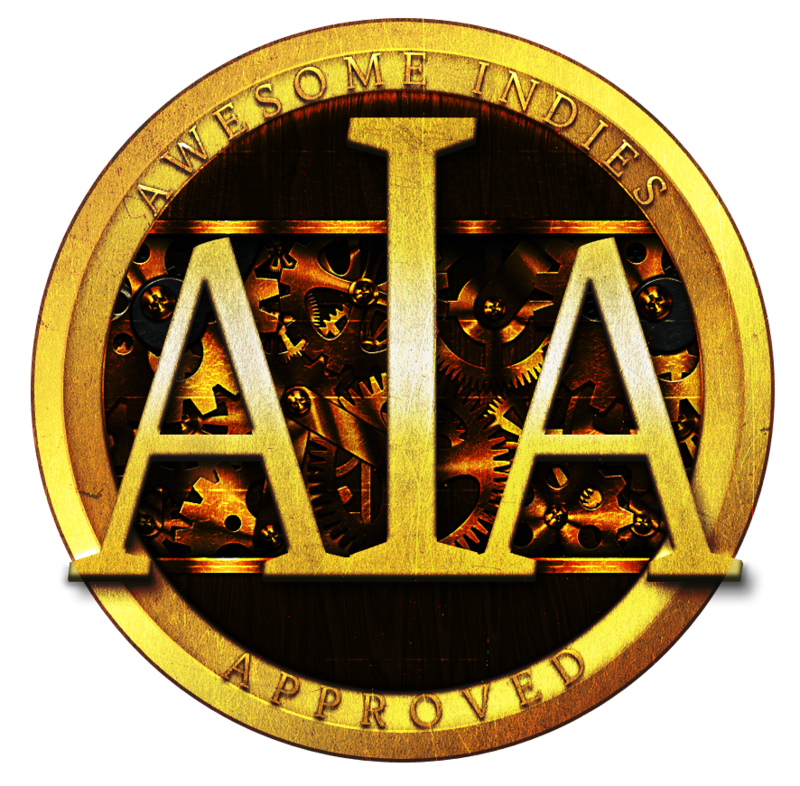 Once you’ve made it through the entire hop, visit the indieBRAG website for a chance to win a $20 Amazon gift card! The hop starts February 13 and ends on February 26. Each author participating in the indieBRAG Valentine Blog Hop is giving away a paperback or ebook, so be sure you visit every website to enter all the giveaways. After you’ve visited each author’s site, go to the indieBRAG website to enter for your chance to win a $20 Amazon Gift Card! Winners will be announced on February 29. Winners have 48 hours to claim prizes or new winners will be chosen. 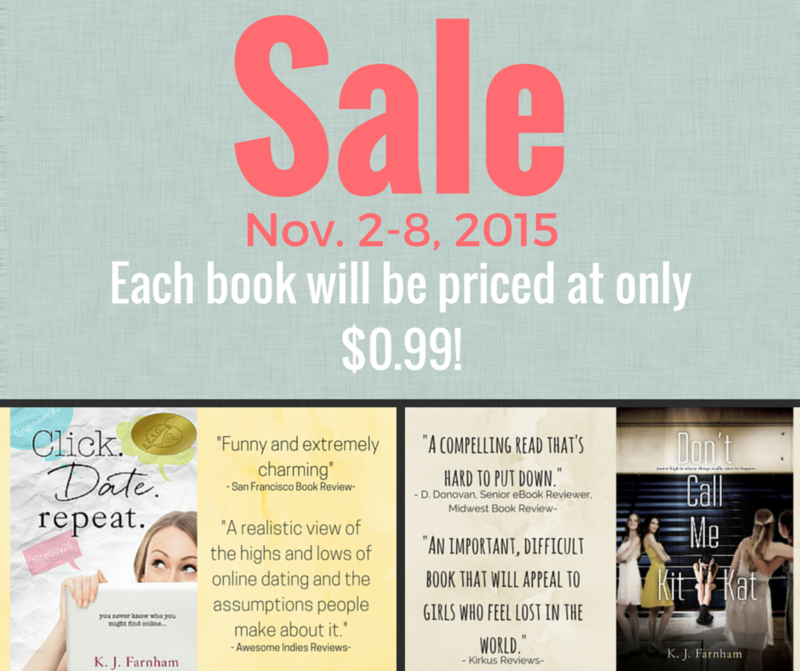 Get a FREE book when you purchase Click Date Repeat! Email proof of purchase to author.kjfarnham.com. You can also visit the Click Date Repeat fan page on Facebook to post proof there or send it to me in a private message. When you send proof of purchase, include the name of the book you’d like to receive from the list of book choices below. Also include the email address where you’d like the gifted book sent. 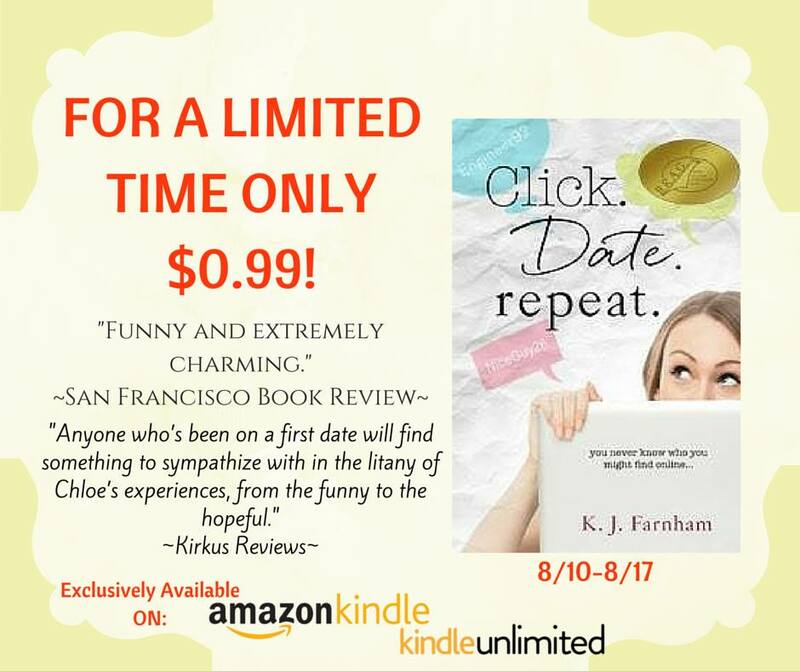 If you’ve already read Click Date Repeat (or even if you haven’t), please help spread the word about this promotion! Thank you! *Offer ends at 11:00 pm CST on Monday, July 27.